In today’s digital economy customers are more empowered than ever. They’ve grown accustomed to getting what they want, when and where they want it with a positive experience throughout their purchase journey. This means they need to be able to buy, pickup, and return products anywhere on their terms through the channel of their choice. Every step of their shopping experience is an opportunity for brands to discover sales they never knew existed. What makes that possible? Our Omni-Channel Customer Experience through an integrated SAP Hybris Commerce and SAP S/4HANA ERP solution does! Now, consider the example of a B2C Bicycle Retailer from my previous blog ‘SAP Hybris Digital Marketing Strategy: The Power of an Effective Marketing Solution and Why It Matter’. Using the same Bicycle Retailer example, this story begins with customer Mike going online to purchase a bike from our Bicycle Retailer’s Hybris Commerce storefront. There are many options for fulfilling an order that can dictate both Mike’s level of satisfaction and the Bicycle Retailer’s overall profitability. Using the Hybris Commerce and S/4HANA integrated order management system, the bicycle retailer can examine inventory across all locations such as stores, manufacturers, or the supply chain. With this visibility, the order can be fulfilled in the way that best meets Mike’s preference and at the retailer’s business objectives. We can see immediately that the bike Mike wants is available not only in stores near his home, but also from several distribution partners and warehouses. Without human input, the S/4HANA order fulfillment system goes to work using its repository of information about demand and inventory. Since inventory and demand are continually refreshed, a single view of all inventory regardless of location is always available. The S/4HANA order fulfillment system makes well-informed real-time decisions on how to fulfill the order. For Mike’s order, the solution uses customer preference from Hybris Commerce, business rules and workflows defined by the bicycle retailer, as well as information from its stores and supply chain to prioritize how to fulfill his order. Business rules and workflows play a critical role in providing the intelligence of order orchestration and can be set up in a variety of ways tailored to fit any business requirement. They can be designed to prioritize fulfillment by cost, physical location, demand history, and many other factors. 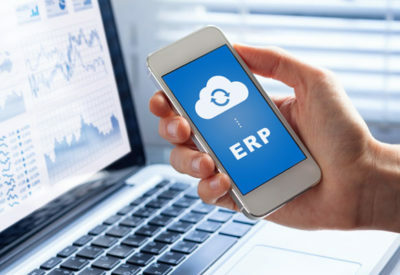 In an omni-channel world, the integrated Hybris Commerce order management and S/4HANA order fulfillment systems function as a single repository for all this information with the ability to act on it to save the enterprise money. For example, a rule like ‘always fulfill an order from the nearest possible source’ will apply here because the bicycle retailer has given priority to Mike getting his bike as quickly as possible based on a system generated available-to-promise (ATP) date. But, let’s say Mike would rather pick up the bike at a nearby store and not pay for shipping. In this case, the solution notifies the store and a communication is delivered to the Sales Associate to assemble the bike. This mobile notification becomes a critical step in meeting Mike’s delivery expectations. The sales associate can see from Mike’s profile that he likes a certain brand of helmet, and so he sets aside the latest version giving him an opportunity to offer it to Mike when he arrives. Mike likes the helmet but wants it in a color to match the bike, one that the store does not have in stock. Using the inventory visibility capability in S/4HANA ERP through an intuitive user-assigned co-pilot and Fiori tiles interface, the Sales Associate easily finds the helmet at a nearby store and offers to ship it directly to Mike’s home. Instead of losing part of Mike’s order, the sale is made and he receives it the next day at home without any inconvenience. In addition to making Mike happier by satisfying his immediate needs quickly and easily, our solution has increased the value of the order to Mike and helps drive profitability for the store. 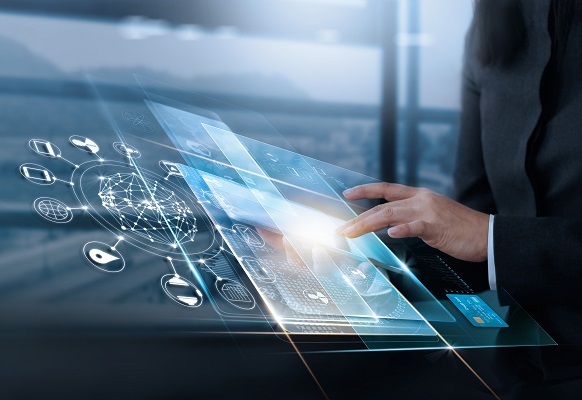 Now, consider another example of how a B2B manufacturer of products that is expanding their business by selling directly to consumers, distributors, and channel partners using Connexions’ integrated Hybris Commerce with S/4HANA solution to run their business and their eCommerce site. In this scenario, a customer receives a marketing email and simply clicks the embedded link to begin their shopping journey for a popular product. The Hybris storefront features robust functionality and an intuitive online shopping experience that makes it easy for the customer to search products, view promotions, track customer loyalty programs, and do business across multiple languages and currencies. Hybris Commerce helps merchandisers of the B2B manufacturer convert more visitors to sales with prominent featured product positioning, promotional discounts, and recommendations. Hybris Commerce puts all product information in one place allowing customers that are interested in an item to quickly drill down for multiple images, available colors, related items, and much more. With the powerful database capabilities built into Hybris Commerce Product Content Management (PCM), the website is always in sync with the rest of the business. An integrated Web Content Management System (WCMS) publishing tool provides marketing the ability to make quick changes to the website ensuring that the customer sees relevant and contextual real-time content. Convenient full-service shopping cart functionality streamlines customer purchases with an intuitive shopping experience, automatic tax calculation, and integrated shipping carrier (i.e. FedEx USPS, UPS, etc.) functionality that provides real-time shipping rates. Returning customers enjoy the convenience of secure checkout in one simple step with stored address and payment information which can include payment through a variety of credit cards as well as support for connections to other commonly used payment service providers. 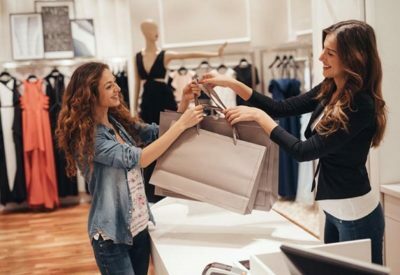 To fast-track the order-to-cash process and improve customer satisfaction, our integrated solution automatically flows new orders from Hybris Commerce to S/4HANA accounts receivables and warehouse departments and instantly reflects changes and inventory levels on the Hybris Commerce storefront. S/4HANA solution enables fulfillment team to process orders all at once or drill in on a particular order for approval based on established business rules. Manual re-entry and order processing errors disappear with our complete integration of order and fulfillment management including pick, pack, and ship capabilities. For reduced inventory costs and better customer service, S/4HANA solution continually tracks ordered items against available inventory and when supply runs out the item is marked as out of stock on Hybris Commerce storefront. When an order has been fulfilled, S/4HANA makes it easy to instantly print a shipping label and provide the customer notification with tracking information. Hybris Commerce provides complete self-service access to order and delivery status as well as payment and personal/profile data management in compliance with the General Data Protection Regulations (GDPR). The customer even has the ability to create his/her own return requests and the system will manage the return process and refund automatically. S/4HANA solution’s role-based co-pilots and key performance indicator (KPI) dashboards deliver unparalleled transparency for everyone in the organization, allowing the operations, line of business leaders, and executive team to monitor eCommerce and all other channels performances alongside broader financial and business metrics. Our solution can be extended further by implementing and integrating Hybris Marketing solution to take advantage of advanced marketing automation and campaign management capabilities of Hybris. 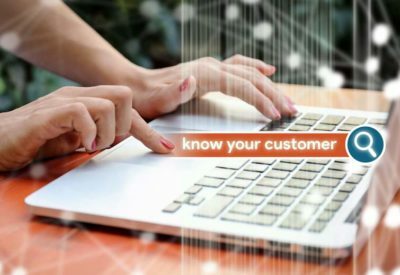 Built-in analytics and reporting features of the marketing system can give the eCommerce managers clear insight into the performance of online marketing efforts and enable one-to-one and aggregate analysis of visitors browsing and shopping habits. 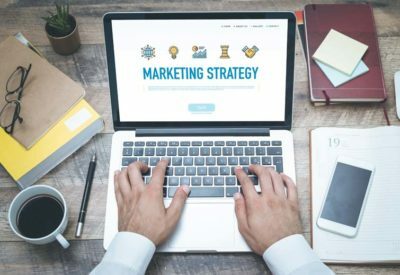 A robust marketing solution within our integrated platform allows marketers to run a variety of marketing campaigns including email campaigns, paid search campaigns, affiliate marketing campaigns, and more. They can track their success rates, costs, and return on investment. Connexions’ integrated SAP Hybris Commerce and SAP S/4HANA solution provides the power to grow your web business without increasing business complexity. From marketing to initial customer visit to placing an online order, to fulfillment to invoicing and service, our integrated solution streamlines your entire business process from order-to-cash to customer service. Our integrated solution makes the enterprise more efficient using total visibility of inventory to make better decisions and in real-time orchestrating products fulfillment processes to keep everyone informed of the tasks needed to meet the customer’s delivery expectations. It also enables our clients to reach more customers, sell more products, efficiently and accurately fulfill orders, deliver exceptional omni-channel customer experience, and drive brand loyalty and customer satisfaction across multiple storefronts, channels, and international regions. To learn how Connexions’ integrated Hybris Commerce and S/4HANA solution can help you make better decisions, eliminate lost sales, and give customers what they want when and where they want it, please contact us today. We will work with your team through a discovery exercise to determine how our solution can be tailored to your specific business needs. Many thanks to Gagan Gai, Rick Baron, and Andre Champagne for their collaboration and contribution to this blog article. For more information about Connexions’ solutions and services, please contact Rick Baron – SVP Sales and Marketing, SAP Solutions. 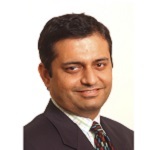 As Vice President of SAP Solutions, Gagan Ghai leads Connexions’ SAP S/4 HANA solution development as well as sales, implementation and training of such solutions. He has more than 21 years of SAP experience with extensive expertise in implementing, configuring complex SAP solutions within a broad industry base. Gagan possesses excellent Sales, Logistics and Supply Chain business process knowledge, and approaches solutions from multiple perspectives to deliver the targeted business value to each client. Before joining Connexions, Gagan has served in a variety of roles including Industry solution lead, product manager and solution architect at Optimal Solutions, i2 Technologies and IBM Global Services. Gagan holds Masters and Bachelors degree in Mechanical Engineering from Indian Institute of Technology, Kanpur. 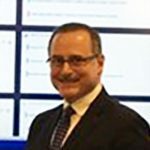 Rick Baron leads Connexions’ SAP Solutions Division, helping customers of all sizes to compete more effectively in the Digital Economy. He has a tireless work ethic coupled with strong business value orientation. With an emphasis on helping Line of Business Executives to envision programs that can be monetized quickly, Rick leads from experience with SAP clientele in most Manufacturing and Wholesale Distribution markets with an emphasis on success over the entire Customer Lifecycle. 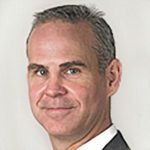 Rick joined Connexions in 2016 from itelligence, Inc., an SAP Platinum Partner, where he was a key performer at the company. Prior to itelligence, Rick held sales and operational leadership roles at Manhattan Associates and Alien Technology from 2002 – 2012. Andre Champagne is the Chief Operating Officer and Executive Vice President at Connexions primarily responsible for the strategic growth of new business from existing and new Lines of Business. Andre was a Partner with Accenture over 18 years focused solely on SAP delivery. Andre’s entire career has been focused on driving value and delivering effective business transformation for large, global SAP implementations with Fortune 500 companies. Andre is an integral member of the Joint Venture / Acquisition and Business Development teams at Connexions, where he leads due diligence around Valuation, Scope, and Negotiation processes. Under Andre’s leadership, Connexions has enjoyed consistent Year over Year Revenue growth.